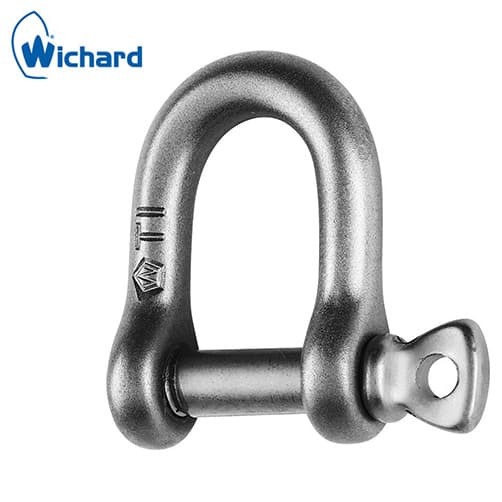 Titanium D shackle with screw pin suitable for highly corrosive marine environments, Wichard are renowned for their design and manufacture of high quality marine fittings. 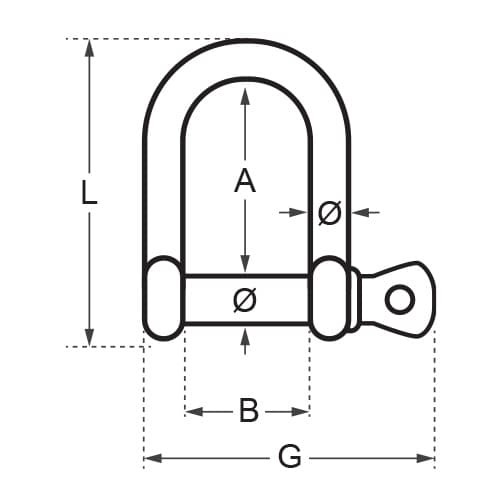 Titanium D shackle, incredibly strong with an important weight saving of 40%. The pin is locked into one of the indentations to prevent accidental release due to vibration. Forged in titanium TA6V, with a superb quality finish.